Super Fast Ferry Venture Sdn Bhd is one of the most reputable ferry company in Penang that provides high-speed passengers ferry services from Penang to Langkawi Island, and from Langkawi Island to Penang. 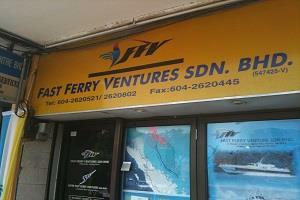 Their ferry services are reasonably priced at RM70 per passengers. 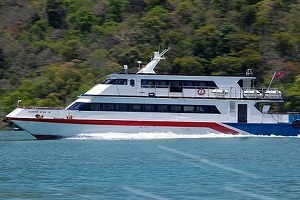 The duration by the high-speed ferry to travel between the 2 islands is about 2.5 – 3 hours, most often is 3 hours. Both Penang and Langkawi Islands are the top attractions in Malaysia with thousands of visitors travelling between the 2 island every year. Therefore the ferry tickets are always in short to meet the market demand, especially during the peak travelling seasons like long weekend and school holiday. Travelers are advised to book the Super Fast ferry ticket in advance to avoid disappointment. For peak travelling season, at least 2 weeks advance booking is advised.